This past weekend was the annual Museum of Comics and Comic Art Festival in New York City. Pronto Comics spent the weekend there, looking for new talent, promoting ourselves, recording podcasts, and selling comics and sketches at our booth. In fact, we sold out of almost all the comics we brought! Some of the artists signing and sketching at our booth included Chris Brimacombe, Ellen Stedfeld, and Andrew Rodriguez. 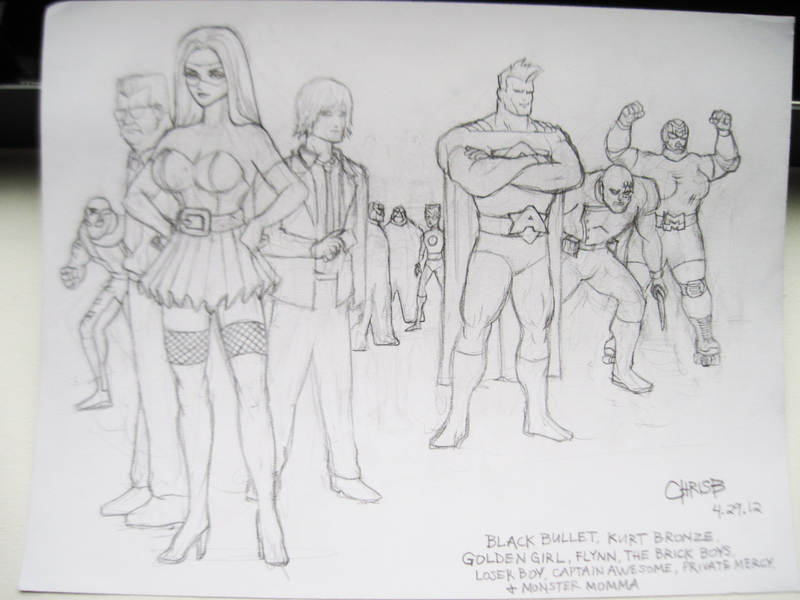 Chris Brimacombe’s sketch of Pronto superheroes. 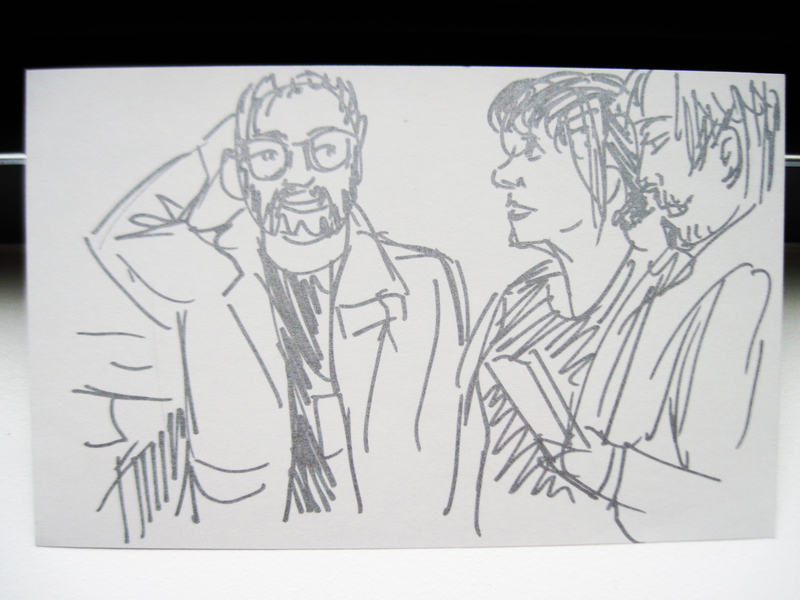 Ellen Stedfeld’s drawing of some members of the Pronto team. 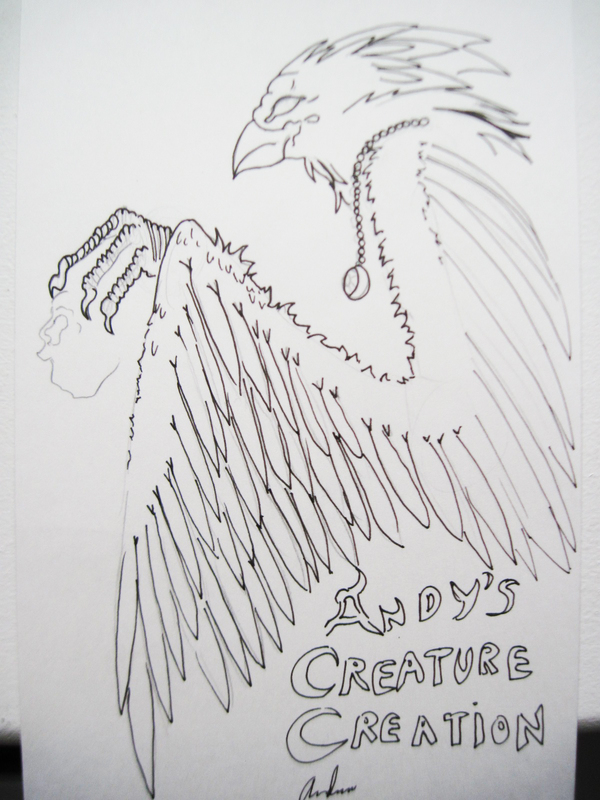 A creature drawn by Andrew Rodriguez. 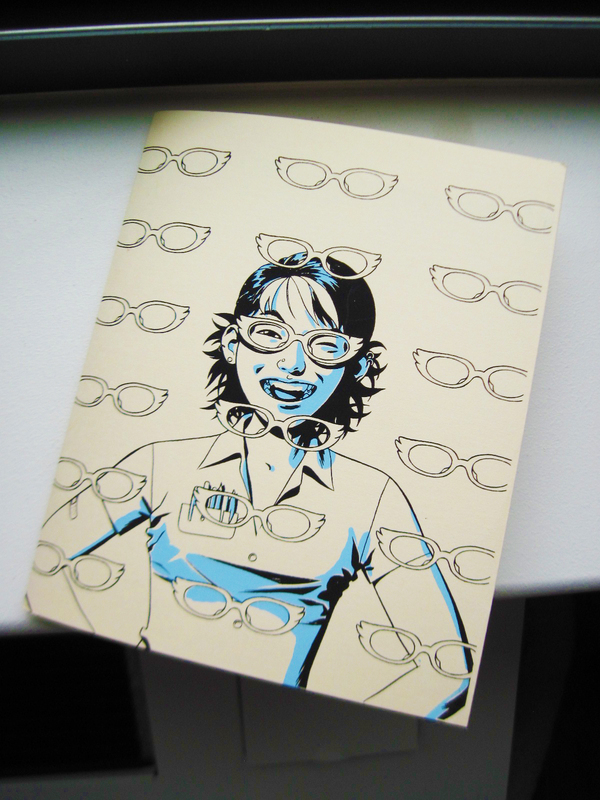 “Hey, Four-Eyes!” is a zine all about glasses. This issue features a cover by Derek Kirk Kim (one of my favorites! 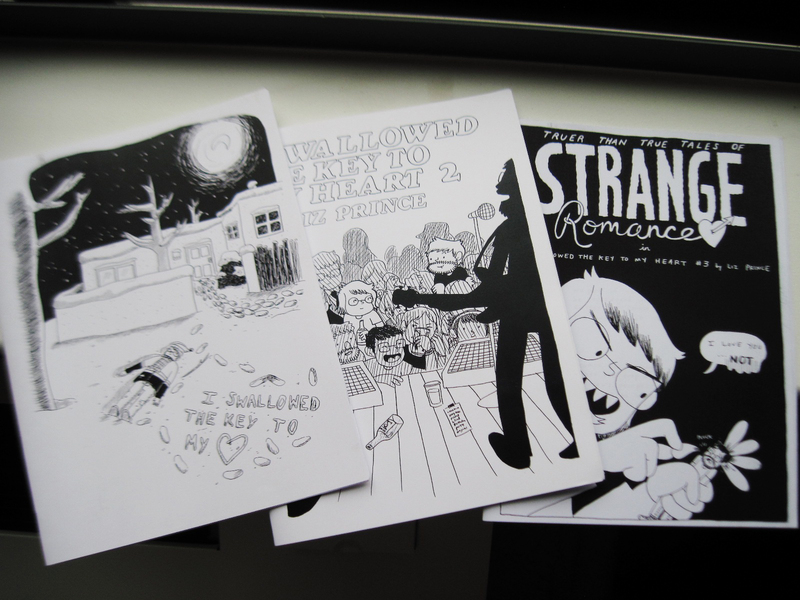 ), plus articles and interviews, and comics from Alec Longstreth, Jonathan Bennett, and Robyn Chapman. 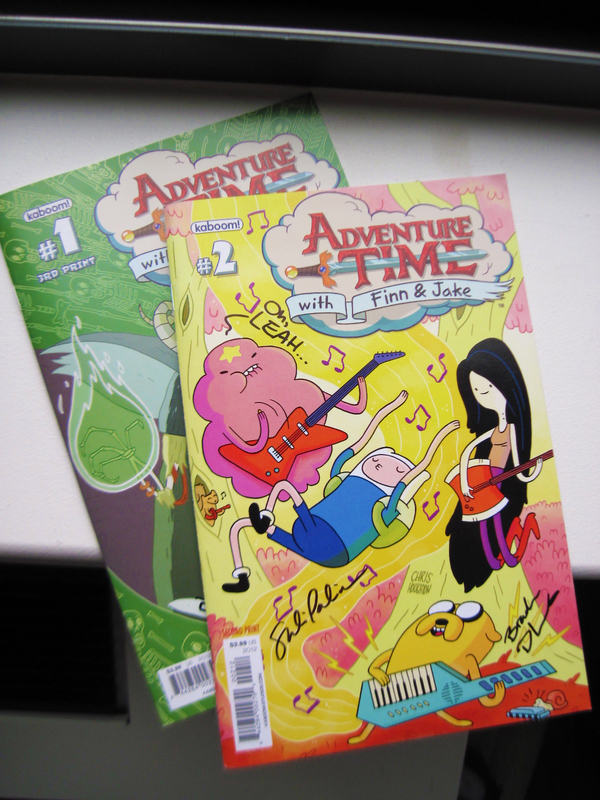 The “Adventure Time” comic books. Signed by the artists, Shelli Paroline and Braden Lamb. My new most prized possession! Too bad they sold out of Issue 3 before I got there. 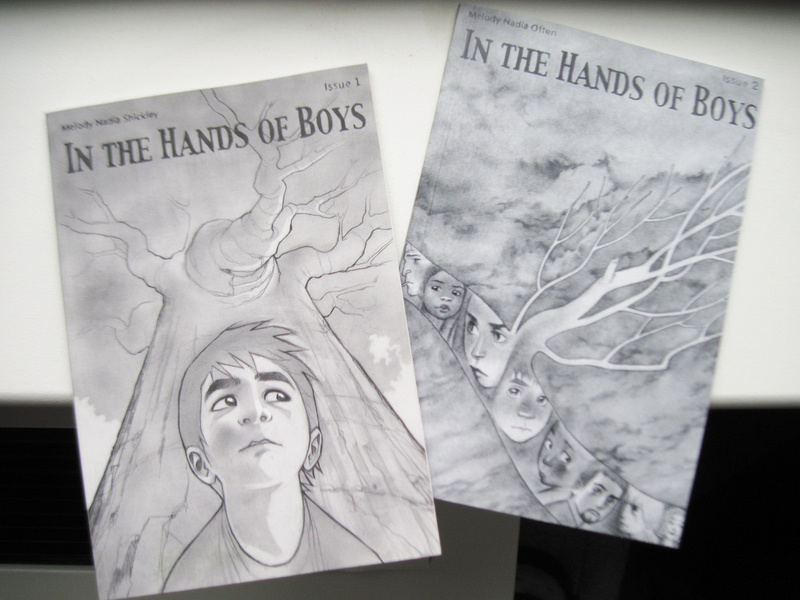 “In the Hands of Boys,” by Melody Nadia Shickley, and adapted from a story by her mother. The first book was funded by a Xeric grant. Melody’s art is amazing; it has so much movement—and these ones are all graphite! 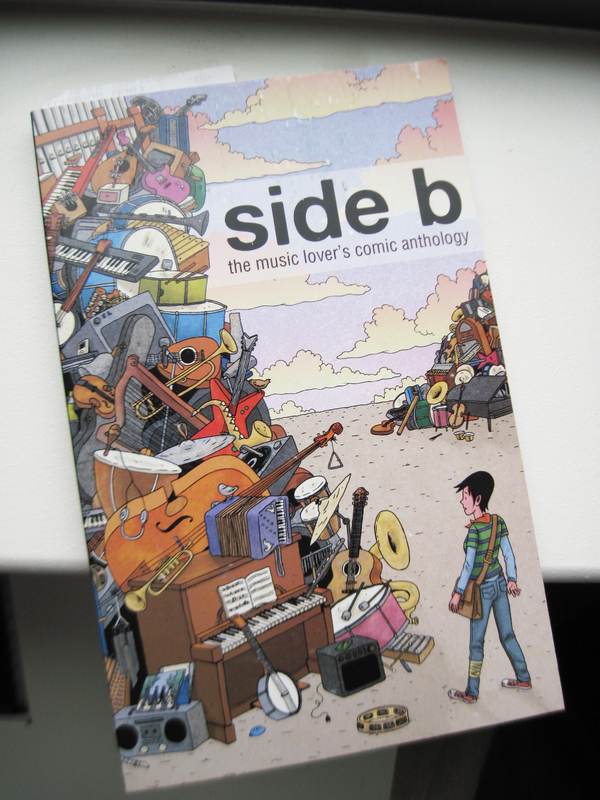 “Side B: The Music Lover’s Comic Anthology.” Some of the comics are hit-or-miss, but most are great, and include some pretty recognizable names, like Jeffrey Brown, Mitch Clem, and Lucy Knisely (who also drew the cover). Last are the first three issues of Liz Prince’s “I Swallowed the Key to my Heart,” the follow-up to her adorable and hilarious book, “Will You Still Love Me if I Wet the Bed?” If you haven’t read “Will You…” then go on Amazon.com and buy a copy right now. One last comic that I absolutely must mention is “Johnny Wander,” by Ananth Panagariya and Yuko Ota. I ran out of money before I could buy their books (now up to two volumes), but borrowed a copy from a fellow member of Pronto and discovered that I’d missed out big time. “Johnny Wander” is so funny and clever! Plus, the creators will be joining us for a future Pronto meeting and podcast. Speaking of podcasts, we invited tons of comic creators over to our booth for some short interviews to promote their newest work, including the illustrious Michael Kupperman, “Adventure Time” artist Braden Lamb, “Pissed Off Panda” creator Frank Powers, and “27” writer Charles Soule. We’ll have them all online very soon. If you missed Pronto at MoCCA Fest, you can catch us this Saturday, May 5, at Print’s Alive! at the Coney Island Museum & Sideshow Theatre. Don’t miss the burlesque show at 9 p.m.! And finally, on May 20 Pronto will be participating in the annual AIDS Walk in New York City. Please consider donating to our team.